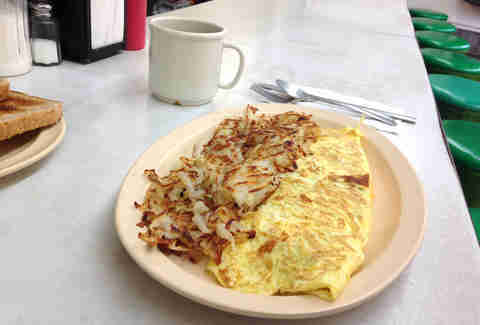 There's nothing quite as reliable as a diner. You can plunk yourself down at the counter, order some eggs, and take your place among city workers, truckers, tough-as-nails waitresses, and barflies who won't stop hitting on the tough-as-nails waitresses, all of whom are ready to share their philosophy of life with anybody who’ll listen. 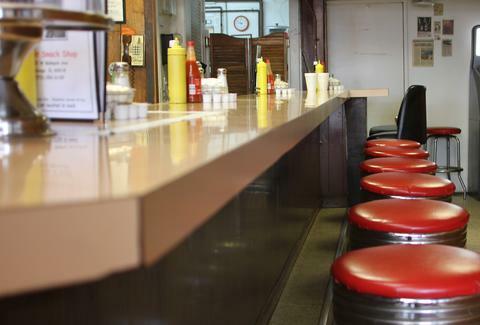 We’ve lost a lot of diners in the last few years, and nobody’s making new ones -- late-night spots are territory for tacos and Pakistani cabbie joints now -- so while we've still got 'em, why not honor the best of what's left: here are nine of our favorite old-school diners, all of which have been around forever, are open 24 hours (or damn close to it), and actually have pretty good food (even with a sober palate). Lakeview has seen a lot of classic diners fall to development in recent years, but the most iconic 24-hour hashslinger of all -- actually built out of an old railroad diner car -- hangs on. Late-night drinkers gorge on the famous Slinger, which basically consists of the whole menu slapped on a plate and covered in chili. Finish it and you get a certificate bearing the grill man’s face, suitable for framing in a place of honor at home. Some diners bustle at night. 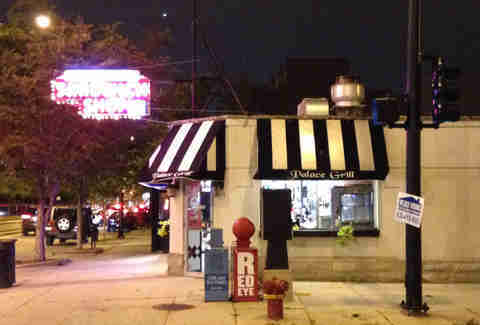 This one, opposite Welles Park, has more of (in the words of Mr. Sinatra) a "wee small hours" feel, a chill place for clubbers to wind the night down. 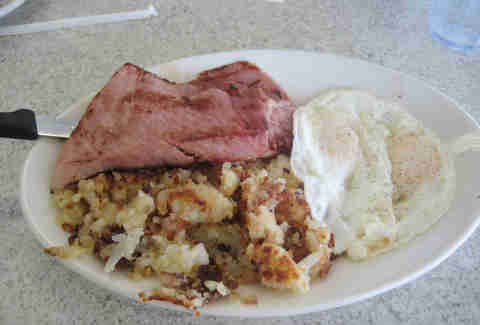 The sign stresses Ham on the Bone, and it’s good advice for your omelet, or as the side to your flapjacks. 24 hours. Respect. Located on West Madison since the 1930s, this is a standard Greek joint for lunch and dinner fare, but a way-beyond-standard Greek joint when it comes to breakfast items. There's nothing quite like watching the grill man carefully sauté the ingredients for your omelet before cracking the eggs onto the griddle. The details matter. 6am-2am. No relation to the Palace Grill (except for being exactly the same kind of place), this 24-hour joint near the old Maxwell St has food that might best be described as "sturdy". But the people watching -- cops, perps, waitresses who'll clock you if you get out of line -- is as good as it gets. The worn Formica probably scares some folks from Lincoln Park/Lakeview off, but it’s their loss -- this is one of the best country-style American/Southern breakfast joints in town. Paul's the day grill man, the Grandmotherly daytime waitresses couldn’t be friendlier, and, as for the late-night crowd and atmosphere, Oliver the night grill man laughs and says, "It’s interesting!". It's open 24 hours except for a break on Sunday. Formerly the Two-Way Grill, a great but totally sketchy 24-hour diner with a back room that hosted video poker, this place has been spiffed up by new Latino owners, without changing the food -- including some of the best biscuits and gravy in town. Open 5am-3pm, this is only a late-night place if you’re out so late that you catch them starting their day. 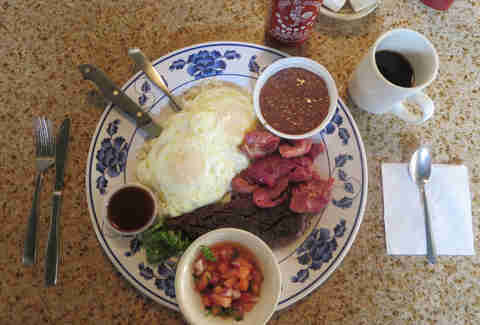 But this Ukie Village joint is cool for having a Filipino take on American diner breakfast, with marinated skirt steak or tocino (the Philippines’ answer to bacon) alongside your eggs, garlic-fried rice instead of hash browns, and congee playing the role of oatmeal. 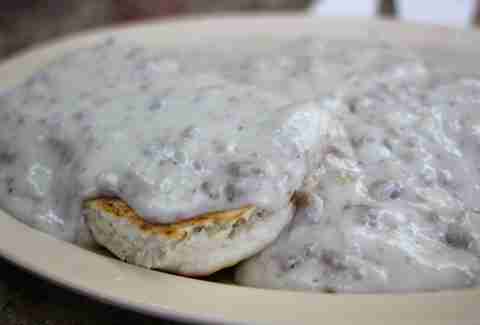 The great old neon sign that announced "Don’s Humburgers" is gone, alas, but this remains one of the best versions of a small-town country diner in town, doing all the classics from pancakes to biscuits and gravy. 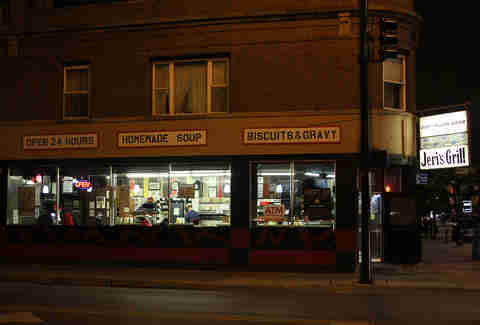 And, even though it's on one of the busiest streets in Chicago, it has the "howdy neighbor" attitude of a small-town cafe on both sides of the counter, 24 hours each day. "Kids eat free! 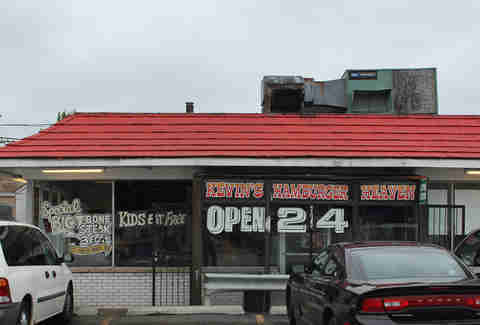 ", the sign exclaims cheerfully in daylight at this ramshackle 24-hour place that's famous for its hand-formed burgers. Then there’s being there at three in the morning, eating a burger opposite a fly guy in an electric blue suit with matching homburg hat, who's busy counting out the cash he’s gotten from his working girls that night. True story.